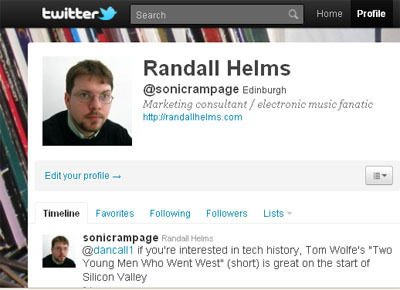 Those of you who follow my Twitter feed, @sonicrampage, will know that I frequently post links to interesting stories about social media, technology, and business. Twitter being what it is, it can be very easy to miss out on these links, which is why I’ve decided today to repost some of the links (as well as some other interesting stuff I’ve read in the past few days). These twelve stories cover a lot of different ground, but I think that they are all useful and thought-provoking.